My name is Tammy Gaston, I have been working as a hairdresser in Sussex for over 12 years and I have a wealth of experience in the industry. I have worked in a variety of salons and spa salons, but have always really wanted to work for myself. It was in 2016 that I finally decided to take the plunge and create something a bit different for my clients, and I just had to hope they would all love the idea as much as I did. The opportunity presented itself for me to create my own hair salon behind my lovely Victorian home in West Sussex and I jumped at the chance. 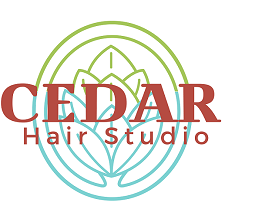 The concept behind the Cedar Hair Studio was to try to combine an eco-conscious setting with a relaxing hairdressing experience for my clients. The studio was created with the help of my husband Matt who has painstakingly taken the time to build this wonderful retreat. 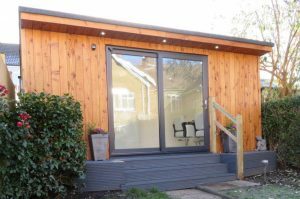 I wanted to offer a unique hairdressing experience in the comfort of my own home, so designing the cedar fronted studio at the end of my garden seemed like the obvious path to choose. The product range I have chosen to use is Natulique “the only complete certified organic professional haircare line in the world.” I believe in using natural beauty products which are amazing quality and can make you look and feel great. Come along to experience the new studio and products for yourself with 50% OFF for all new clients. The new website showcases the studio and services I offer along with a full price list . I hope you enjoy browsing the website.